S.J. Vazifdar And U.D. Salvi, JJ. S.J. Vazifdar, J. : The petitioner has challenged the orders/communications pertaining to the reopening of its assessment for the assessment year 2002-03. 2. The petitioner had filed a return under section 139 of the IT Act, 1961 on 31st Oct., 2002 declaring an income of Rs. 15,25,960. The Asstt. CIT passed an assessment order dt. 31st March, 2005 under section 143(3). The assessment order records that the petitioner consists of two divisions, one of which is M/s Ferromet Concentrates which derives an income totally from export and is therefore eligible for exemption under section 10B from the assessment year 1999-2000. The assessment order further records that the exemption under section 10B was not claimed as the petitioner had not derived any taxable income during the period 1999-2000 to 2001-02. However, during the assessment year under consideration, the petitioner had made a profit. Subsequently after issuing a notice dt. 12th May, 2006, an order under section 154 dt. 25th May, 2006 was passed rectifying the assessment order by disallowing the deduction under section 80HHC. We however, are not concerned with the same. 3. The present petition requires a consideration of the subsequent orders. A notice dt. 1st April, 2008 was issued by the respondent to the petitioner under section 148 stating that the respondent had reason to believe that the petitioner’s income chargeable to tax for the assessment year 2002-03 has escaped the assessment within the meaning of section 147. The respondent therefore proposed reassessment of the income for the said assessment year and called upon the petitioner to deliver a return. The notice stated that it was being issued after obtaining necessary sanction of the CIT, Karnataka (Central), Bangalore. 4. The petitioner by a letter dt. 8th May, 2008 stated that the regular assessment for the said assessment year was completed on 31st March, 2005 after calling for the details from time to time and after necessary scrutiny. It was therefore contended that no income had escaped the assessment within the meaning of section 147. The petitioner, however filed the return disclosing a total income of Rs. 27,71,708. The petitioner requested the respondent to furnish the reasons as recorded by him for reopening the assessment, so as to enable it to make further submissions. The petitioner filed the return without prejudice to its contention that the notice was bad in law having been issued without assuming the proper jurisdiction. 5. The respondent thereafter furnished the reasons under cover of a letter dt. 21st Aug., 2009. 6. The petitioner thereafter by a letter dt. 2nd Oct., 2009, raised various objections as to the jurisdiction of the respondent for issuing such notice under section 148. By a letter dt. 23rd Oct., 2009, the petitioner called upon the respondent to deal with the same. 7. By the impugned order dt. 10th Nov., 2009, the respondent rejected the contention. The respondent held that the Department was justified in reopening the assessment of re-examining the issue and to consider fresh arguments put-forth by the petitioner which are required to be examined to ascertain the correct facts. The respondent held that the same was done after due application of mind and upon his subjective satisfaction for doing so. The petitioner was directed to co-operate by furnishing the information called for in the assessment proceedings. 8. The main point pertained to a deduction under section 10B. There is no doubt that the exemption under section 10B had been claimed for the period 1991 to 1995. What is important to note is that the exemption had also been granted for the said period. Sec. 10B was thereafter amended. The petitioner once again claimed exemption under section 10B contending that the same was not in respect of the same unit but in respect of a new unit. Mr. Dastoor submitted that all the information and material in connection with the submissions had been supplied and was available to the Department before the assessment was made. He submitted that the Department was therefore conscious of the material necessary to adjudicate as to whether the unit in respect of which exemption was now claimed for the said assessment order was a new unit or not. The petitioner claimed that it was a new unit. It is however contended on behalf of the Department that it is not as the petitioner had only expanded the existing unit in respect of which the benefit under section 10B had already been claimed, granted and availed of. 18. 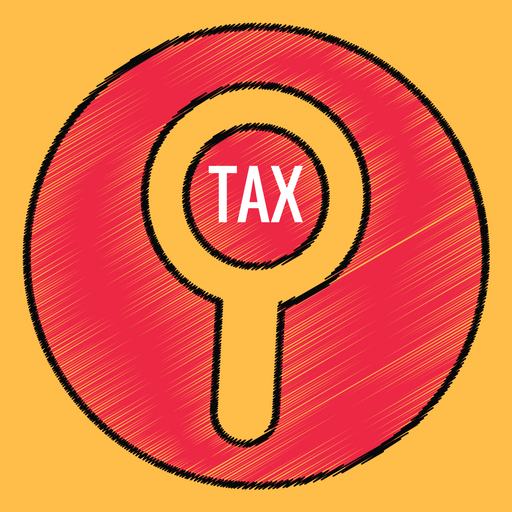 Reading of proviso to section 147 makes it clear that if the AO has reason to believe that any income chargeable to tax has escaped assessment for any assessment year, he may, subject to the provisions of sections 148 to 153, assess or reassess such income and also any other income chargeable to tax which has escaped assessment and which comes to his notice subsequently in the course of the proceedings under section 147, or recompute the loss or the depreciation allowance or any other allowance, as the case may be, for the concerned assessment year. However, where an assessment under sub-section (3) of section 143 has been made for relevant assessment year, no action can be taken under section 147 after the expiry of four years from the end of the relevant assessment year, unless any income chargeable to tax has escaped assessment for such assessment year by reasons of the failure on the part of the assessee to disclose all material facts necessary for his assessment for that assessment year. 19. In the case in hand it is not in dispute that the assessment year involved is 1996-97. The last date of the said assessment year was 31st March, 1997 and from that date if four years are counted, the period of four years expired on 1st March, 2001. The notice issued is dt. 5th Nov., 2002 and received by the assessee on 7th Nov., 2002. Under these circumstances, the notice is clearly beyond the period of four years. 20. The reasons recorded by the AO nowhere state that there was failure on the part of the assessee to disclose fully and truly all material facts necessary for the assessment of that assessment year. It is needless to mention that the reasons are required to be read as they were recorded by the AO. No substitution or deletion is permissible. No additions can be made to those reasons. No inference can be allowed to be drawn based on reasons not recorded. It is for the AO to disclose and open his mind through reasons recorded by him. He has to speak through his reasons. It is for the AO to reach to the conclusion as to whether there was failure on the part of the assessee to disclose fully and truly all material facts necessary for his assessment for the concerned assessment year. It is for the AO to form his opinion. It is for him to put his opinion on record in black and white. The reasons recorded should be clear and unambiguous and should not suffer from any vagueness. The reasons recorded must disclose his mind. Reasons are the manifestation of mind of the AO. The reasons recorded should be self-explanatory and should not keep the assessee guessing for the reasons. Reasons provide link between conclusion and evidence. The reasons recorded must be based on evidence. The AO, in the event of challenge to the reasons, must be able to justify the same based on material available on record. He must disclose in the reasons as to which fact or material was not disclosed by the assessee fully and truly necessary for assessment of that assessment year, so as to establish vital link between the reasons and evidence. That vital link is the safeguard against arbitrary reopening of the concluded assessment. The reasons recorded by the AO cannot be supplemented by filing affidavit or making oral submissions, otherwise, the reasons which were lacking in the material particulars would get supplemented, by the time the matter reaches to the Court, on the strength of affidavit or oral submissions advanced. There indeed cannot be any dispute as far as this Court is concerned on the above propositions. The same are binding on us. The question is whether the jurisdiction was wrongly assumed or not. 10. Mr. Dastoor submitted that none of the conditions justifying reassessment proceedings as specified are present in the present case. He submitted that there is no allegation recorded in the reasons to the effect that there has been a failure on the part of the assessee to disclose fully and truly all material facts. Nor do the reasons specify the failure. In other words, the reasons do not furnish any details of the facts which are not recorded. It was submitted that there is nothing in the orders/reasons which indicate that there was escapement of income on account of the failure on the part of the petitioner to disclose fully and truly all material facts. It was also submitted that the validity of the order has to be judged only on the basis of the reasons recorded and that the same cannot be supplemented subsequently. 11. The writ petition is indeed maintainable. However, in our opinion, in the facts of this case, the questions raised herein will be more conveniently decided not at this stage in this petition but by requiring the petitioner to raise the same in appeal provided under the IT Act. It is made expressly clear that we do not express any opinion as to the validity of the impugned order. We further make it expressly clear that the contentions raised by Mr. Dastoor and all other contentions that may be open to the petitioner, may be raised in the appeal, if any, filed from the final order reassessing the petitioner’s income. Ms. Dessai conceded that these very questions can also be raised in the appeal provided for under the IT Act. 12. For the purpose of this order, we proceed on the basis that all the facts had been furnished by the petitioner to the Department. The responsibility of the petitioner/assessee is not merely to disclose all material facts but to disclose them fully and truly. The term “truly” prima facie indicates that a full disclosure is not sufficient and that the assessee must also disclose the material truly. The ambit of the expression “fully and truly” is wider than the term “fully”. There may therefore be a case where a full disclosure may have been made by the assessee but the same may not have been made truly. It is neither possible nor appropriate to categorise or limit the type of the cases which fall within the mischief of that expression. This would necessarily involve a consideration not merely of the material furnished to the Department but the manner in which it is furnished to the Department. In the present case for instance, along with the return of the income, the petitioner had filed a certificate of its chartered accountant pursuant to rule 16E in Form No. 56G. The certificate states “In our opinion and to the best of my knowledge and according to the explanations given to us the particulars given in the Annex. ‘A’ subject to the notes contained in the statement of notes thereon in Enclosure-I are true and correct.” Annex. ‘A’ furnishes the details as to the date of registration of the unit as 100 per cent EOU, date of the commencement of manufacture or production by that unit and the number of consecutive years for which the deduction was claimed. The annexure in turn encloses ‘Annex. I1. Annex. I states that Ferromet Concentrates was a 100 per cent EOU of the petitioner set up in the financial year 1985-1986 and that the petitioner had claimed exemption under section 10B in respect of this unit from the assessment year 1990-91. The enclosure thereafter refers to the formation of the alleged new unit in respect of which the deduction under section 10B was claimed for the said assessment year in question. In other words, according to the petitioner, these are two separate EOUs and therefore the benefit under section 10B could have been claimed. However neither Annex. “A”, nor Enclosure-I disclosed the fact that admittedly the exemption claimed by the Ferromet Concentrates division under section 10B had been granted and availed of by the petitioner. It is a moot point as to whether in view of the failure to mention the same, the disclosure can be said to be a true disclosure even assuming that all the facts pertaining to the setting up of the alleged new unit were disclosed. 14. We hasten to add that we do not suggest that the petitioner has not disclosed all necessary facts truly merely because the same have not been stated by the chartered accountant’s certificate or the enclosure and attachment thereto. It may well have been done even otherwise. Such questions however would require to be considered in detail. The entire record may have to be considered. They would more conveniently be dealt with in proceedings under the IT Act rather than in a writ petition under Article 226 of the Constitution of India. 15. It is only for this reason that we are not inclined to entertain the writ petition at this stage. All the contentions of the parties are kept open. 16. With the above clarifications, the writ petition is dismissed. The interim order shall continue upto and including 16th Aug., 2010. This entry was posted in Section 147 and tagged 339 ITR, Bombay High Court, In favour of Revenue, reassessments u/s 147.